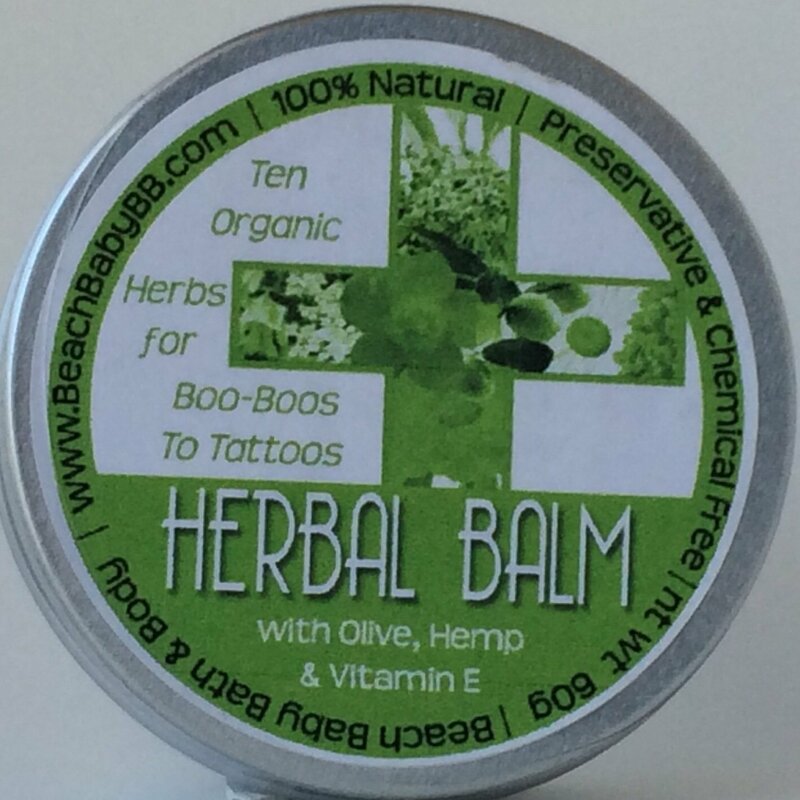 Natural Help for Boo-Boos to Tattoos! 10 Organic Herbs on a mission! From skinned knees to paper cuts to fresh tattoos, the soothing oils and butters will moisturize the skin. The beneficial herbs will help promote healing naturally and gently. Ingredients: Olea europaea (olive) oil, butyrospermum parkii (shea butter) fruit, cocos nucifera (coconut) oil, beeswax, cannabis sativa (hemp) seed oil, persea gratissima (avocado) oil, tocopherol (vitamin e), lavandula angustifolia (lavender) oil, melaleuca alternifolia (tea tree) oil, arctium lappa (burdock root), symphytum officinale (comfrey root), calendula officinalis (calendula), helichrysum stoechas extract, plantago major (plantain), hypericum perforatum (st. john's wort), achillea millefolium (yarrow), prunella vulgaris (heal all), olea europaea leaf extract, matricaria recutita (chamomile).